Mackenzie + Austin | Louisville Engagement Session — Helping people to see that their honest, messy, normal lives are beautiful. Mackenzie and Austin are a lot of things. Gorgeous (that's obvious). Adorable together (of course). Funny and Quirky (a nice surprise)! 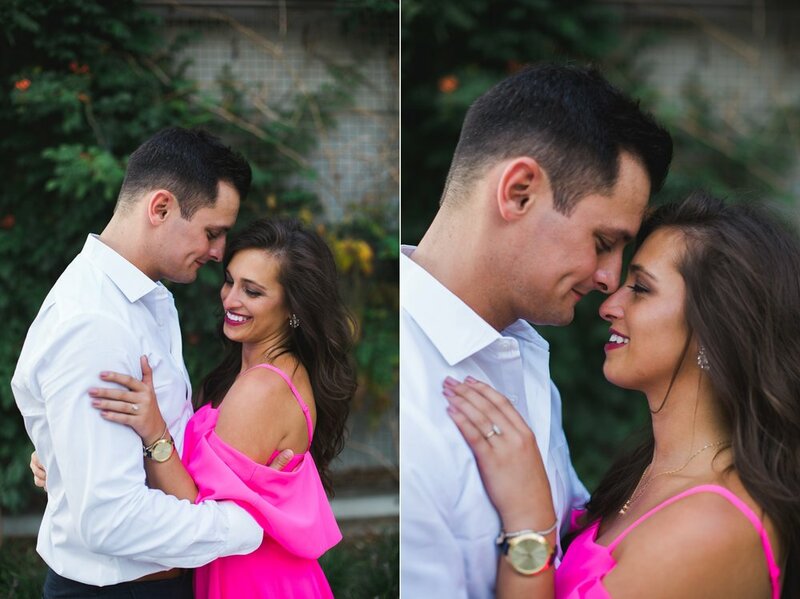 I had only talked with Mackenzie on the phone prior to this engagement session which always leaves me a bit anxious to meet a couple in person. I don't fully know what they are like as individuals, or as a couple. Will they be shy? Are they affectionate? Maybe more playful? 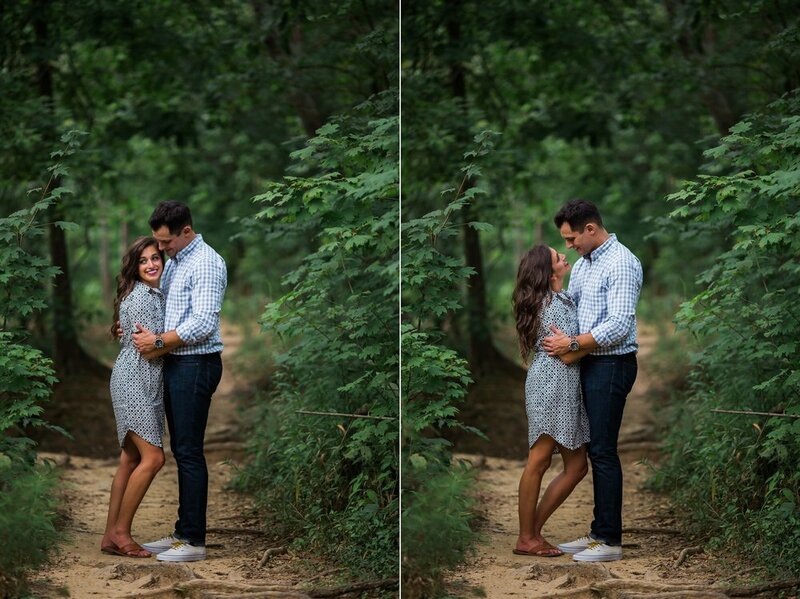 I was excited to meet this engaged couple and find out that they are fun, easy, and even a little quirky. 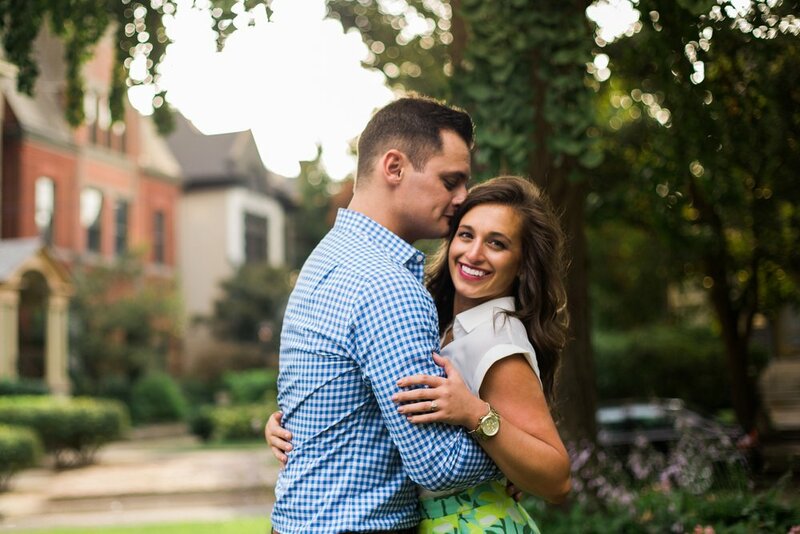 It was certainly not purposeful, but their engagement session was schedule on maybe the hottest weekend of the year in Louisville. We aren't exactly known for our comfortable summer weather. It was that notorious hot and humid that we all know so well. The kind that makes your hair stick to your forehead...or if you are a girl maybe it makes your hair grow bigger and bigger by the minute. Mackenzie and Austin weren't phased by it! We had an awesome time enjoying the city, and exploring some trails. 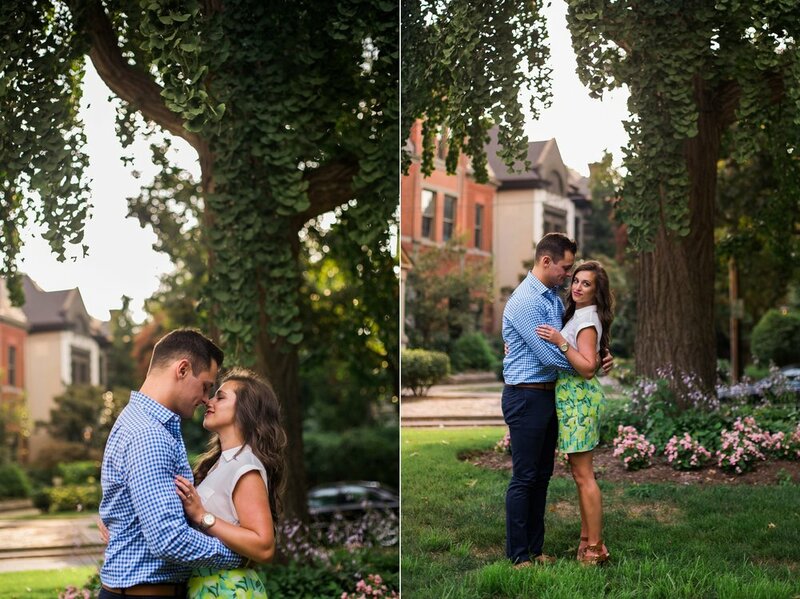 So thanks to M + A for being awesome and traveling all the way from Carmel for your engagement session. We hope you enjoyed your Louisville getaway complete with some southern comfort food and Kentucky bourbon. become a chandler rose bride!